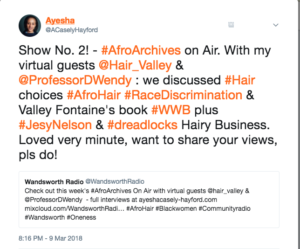 Free The Hair was the topic of Afro Archives on Air, 9th March 2018. This second week I brought together women I met at World Afro Day on 15th September 2017. Namely Valley Fontaine and Professor Wendy Greene. You can have a listen to the show here. Valley Fontaine has a book called “How to Grow Longer, Healthier Natural Hair whilst wearing Wigs, Weaves & Braids, Like I Did”. I bought this book a few years back and found it a life line. Ms Fontaine is a BBC Journalist and has awesomely captured her journey from transitioning chemically relaxed hair to natural hair. Professor Wendy Greene is an Employment lawyer and legal scholar currently lecturing at Cumberland School of Law in Comparative Slavery, Constitutional Law, Critical Race Theory, Employment Law, Discrimination, Equitable Remedies, Race Relations, Law & Real Property. Professor Greene also has a special interest in “grooming codes discrimination” a phrase she personal coined. 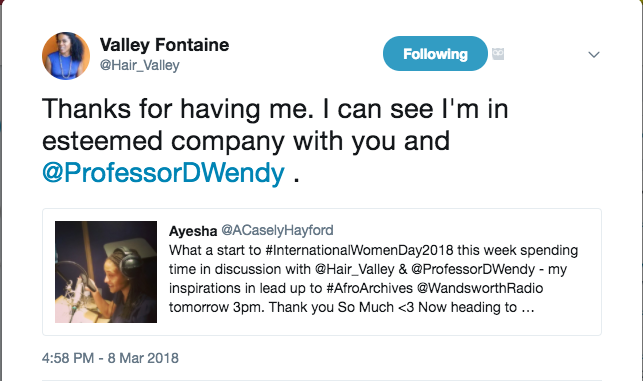 She is a leading expert in the area of black women, hair and matters of discrimination. Professor Greene is leading an amazing battle to “Free The Hair”. 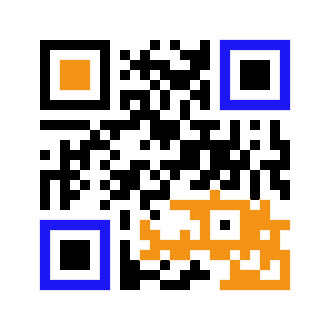 You can read much more in her article “Identity Performance as a Bottle Neck to Employment Opportunity”. With these women who generously and graciously gave their time, I discussed views on hair and choices including in the workplace. Specifically, we got into hair options from wearing locs, to dying their hair different colours to afro styles. This is where the concept of “Free the Hair” comes in. We looked at where restrictions on hair/grooming may stop being a choice but a natural expression of who we are, our religion or part of being healthy. We also brought to the table considerations on race discrimination using the example in the case brought by the EEOC against Catastrophe Management Solutions on behalf of Ms Chastity Jones. Professor Greene’s own work in the area of black women, hair and race discrimination was used by the EEOC to form its theory and approach in bringing the case to the Federal Courts. In this particular case Chastity Jones was asked to cut her locs if she wanted to get a job with Catastrophe Management Solutions. Interestingly, the case was struck out at an early stage. It leaves us in a confused place on the issue of race discrimination and hair in the workplace. You can find a lot of feedback on YouTube to the US Federal Court’s decision. What are your views? 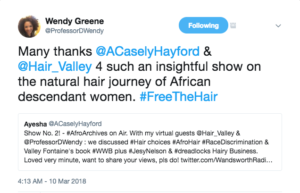 We do not have a similar case in the UK courts, although there are reports of black women being asked to change their hair, in order to get jobs. Finally, we talked about the accusations of cultural appropriation against Little Mix’s Jesy Nelson, when she adorned faux dreadlocks a couple of weeks ago. In conclusion for this week, hair really is an endless, coiled, textured topic. I love it.